Spring came early this year for PlayersJet as we have just gone through our database scrubbing and cleaning the data, removing cobwebs (dead links) and updating screen shots. With many more online gambling sites going offline in the past year, this cleaning has provided an interesting look at our ranking methodology . When we set out to build a useful online gambling portal, the first thing we noticed was that there were a lot of online casinos, poker rooms and sportsbooks out there. Well over 1,000 in fact. After you find a few of them, you start wondering to yourself, is this a safe place to deposit money and why would I choose one online casino over another. Our answer was to create a Trust Ranking algorithm to help answer these questions. 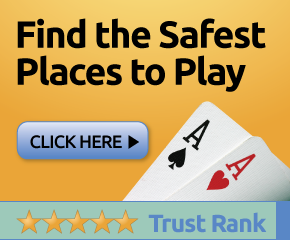 Our Trust Rank considers over 30 criteria for every online casino, poker room and sportsbook and spits out a score. Apparently our standards were pretty high as less than 5% of online gambling sites crossed the threshold of a 100 score. Early on in 2005 when we first launched PlayersJet we faced a lot of criticism as some well respected operators were either scoring low, or had been missed altogether by our review. We defended our methodology as a guide to helping the neophyte with making their decision, as we were new to this whole industry ourselves, and after all players can provide reviews if they really like one casino over another to help with the scoring. We score sites much like a school exam where a 90 is an A and 59 is failing. After going through this round of updates to our database, a clear trend has shown itself, where online gambling sites scoring below 60% have disappeared with greater frequency than those with higher scores. In fact, the scoring follows an expected trend with higher ranked sites around at a higher rate than lower ranked sites. The one number that sticks out from the rest is the Poker Rooms scoring between 70-79, which is due to the fact that there were very few poker rooms that scored in that specific range. 19 to be exact. The resulting trend…an online gambling website scoring below 60 is less likely to stick around than those that are receiving a passing score. There is also a nice jump between a grade of A and B, so those sites scoring a 90 or higher can be trusted at a pretty high level of confidence. If you look at some of those sites that have disappeared in the A grade range, they have mostly been consolidated into other brands such as Havana Club into Platinum Play, Royal Vegas Poker into Poker Time, or Vegas USA and Trident Lounge into King Neptunes Casino, meaning that if you had signed up with one of the prior sites you would have been transferred over to the latter sites with deposits and winnings protected. The same can’t be said for most of the sites that were failing to begin with. Players on those websites likely were left without their deposits, winnings or recourse.